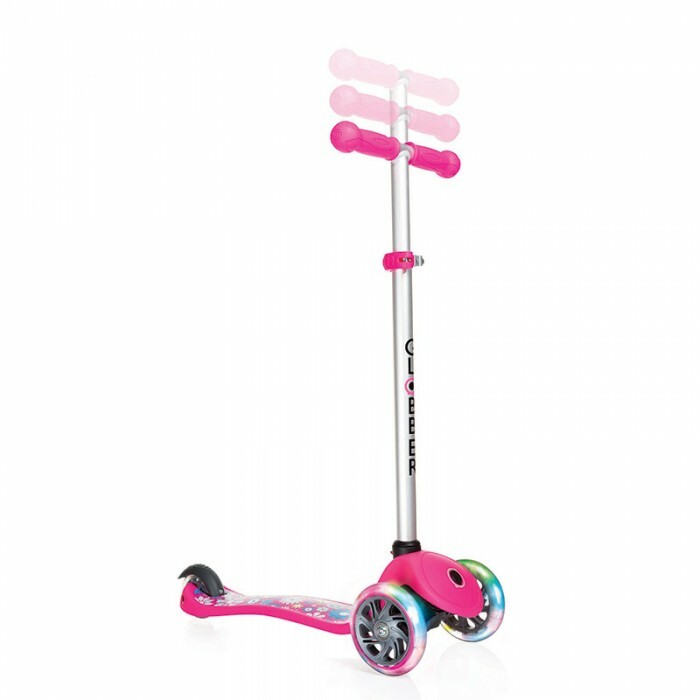 The Primo Fantasy Lights scooter is ideal for developing balance and making learning easier. It is designed for safe learning, its three wheels, sturdy foot deck and low footrest and deck guarantee user stability and comfort. 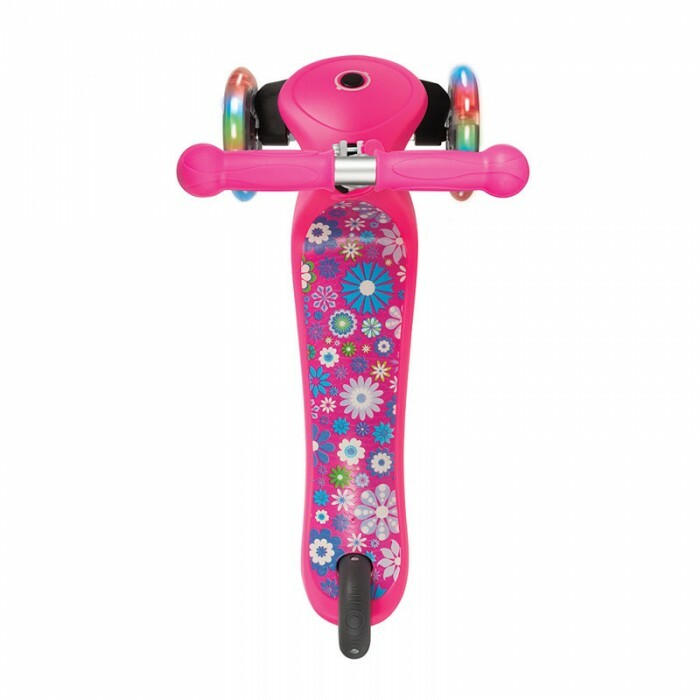 It's wheel locking/unlocking system and assisted steering enable children to progressively learn how to turn. 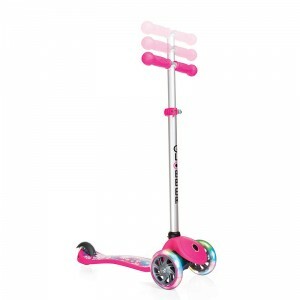 The pushpin t-bar with handlebar grips easily adjusts between three heights as the child grows up. 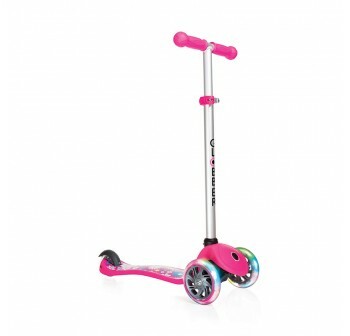 With a recommend age of 3 to 6 years, primo fantasy is the perfect scooter for beginners. 121mm exclusive Globber front lighting wheels with hight quality and high rebound PU. Copyright © 2019 growingkidz.com.my. All rights reserved.